Performers include: Cedric the Entertainer and Stuart Whitaker. This game show seeks to tap into the public’s curiosity about what things cost. In order to win prize money, contestants must accurately guess the value of unusual items, pulled from the show’s warehouse whose contents are worth more than $50 million. These items include things like a Purple 1971 Plymouth Barracuda Hemi Convertible ($2.2 million), a cave bear skeleton from 150,000 BCE ($98,500), a handmade music box from the 1800’s ($48,500), a flying saucer house in Tennessee ($120,000), a clipping of President Kennedy’s hair ($4,100), Prince’s suit from Purple Rain ($14,500), or an empty dog food can owned by Paris Hilton ($300). A team of two contestants compete through a series of six initial challenges. Challenges include trying to accurately guess which of a selection of items are worth more money and discerning why an item is worth so much. Cash prizes are awarded after each round with the prize amount and difficulty increasing as the game continues. The first two rounds are each worth $5,000, rounds three and four are worth $15,000 each, and the fifth and sixth rounds are worth $30,000 each. After six rounds, the contestants can answer a final question and bet up to 10 times their earnings, giving them an opportunity to win up to $1,000.000. Alternately, they can choose to stop playing and take their winnings home. 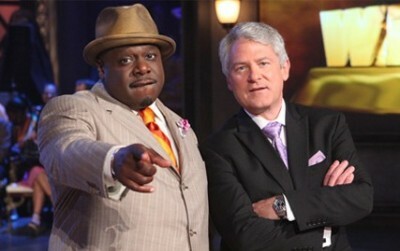 Cedric the Entertainer is the TV show’s host and licensed appraiser Stuart Whitaker is sometimes called upon to explain why some items are so valuable. Erika Dowd from Pittsburgh, PA and Jacqueline Bell from Baltimore, MD have been best friends since they met in choir six years ago. They step up for their chance for up to one million dollars. Their first challenge is “What’s Worth More?” in which they must pick the higher value of two items in order to be awarded the cash prize. First aired: September 13, 2011. More about: It's Worth What?, It's Worth What? : canceled or renewed? It’s Worth What? : Another NBC Game Show; Cancel or Keep It?